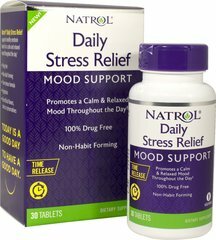 Stress Formula promotes energy metabolism and nervous system health. ** Our exclusive combination contains all eight B-Complex vitamins plus Vitamins C and E. The B Complex is made up of several vitamins that work well together to support nervous system health and energy metabolism. ** Vitamins C and E promote antioxidant protection and immune system health. ** Adults can take one tablet daily with a meal.